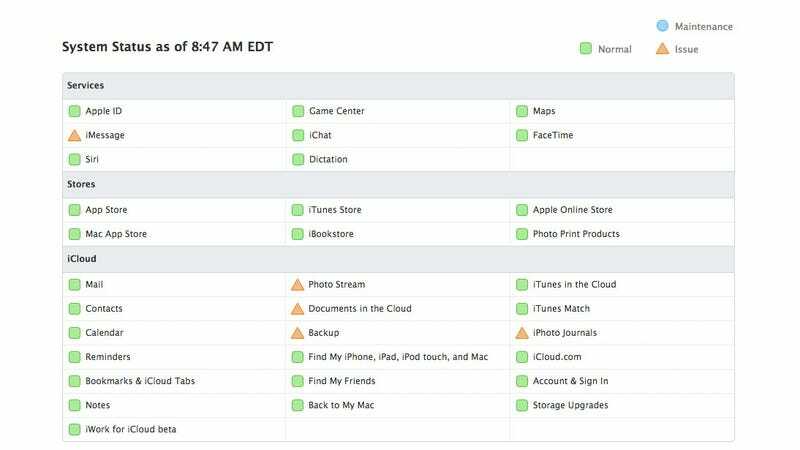 Looks like Apple is having a tricky time of things this morning: its iCloud and iMessage services are currently experiencing difficulties. The hiccup means that users are having problems with Photo Stream, iCloud documents, back-ups, iPhoto journals and iMessage. So, if things aren't quite working properly this morning, it's not you—it's Apple. It's not clear yet when normal service will resume.